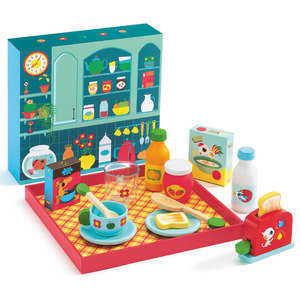 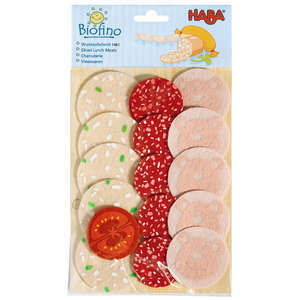 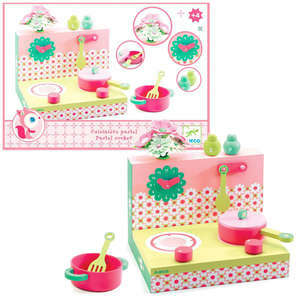 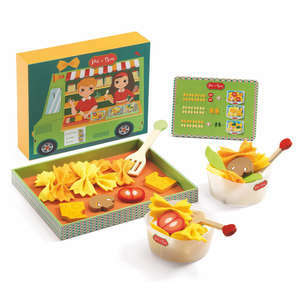 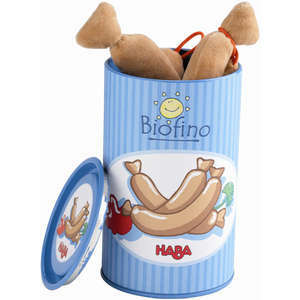 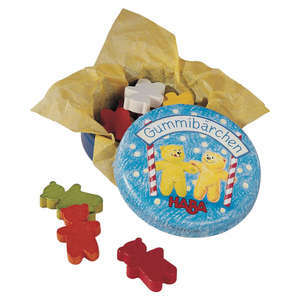 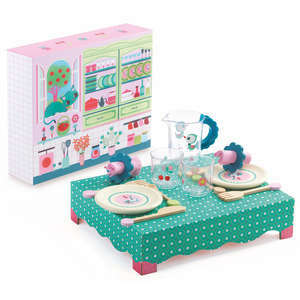 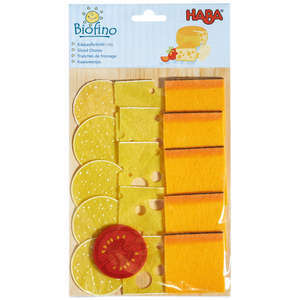 Haba's colourful fruit mix is perfect for mini chefs and shop keepers. 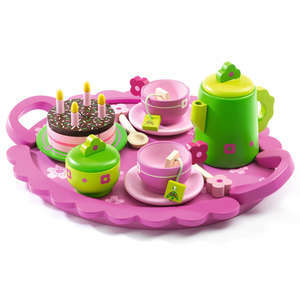 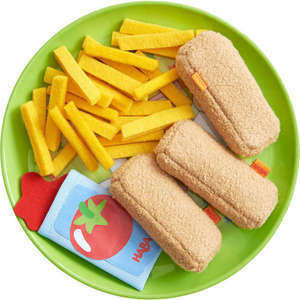 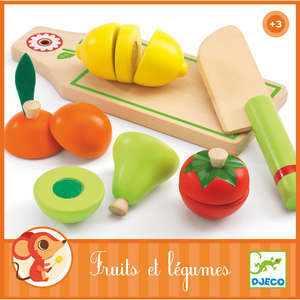 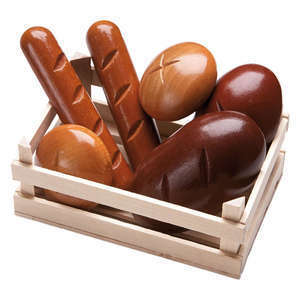 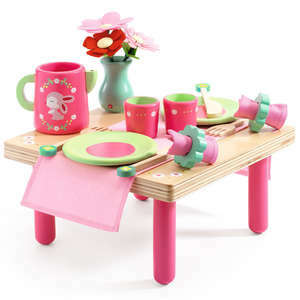 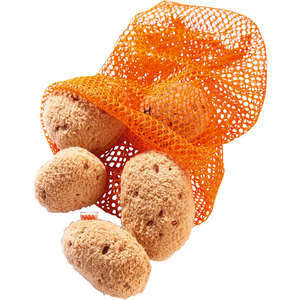 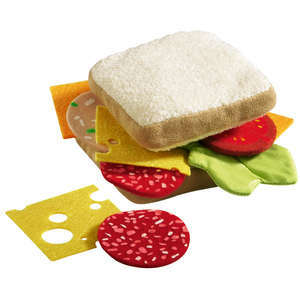 This fun set of play food cutting fruits includes a plastic knife for pretend slicing and chopping. 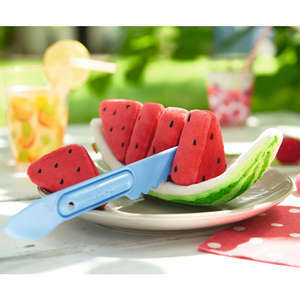 Slice the realistic apple, strawberry and kiwi fruit in half using the knife to cut through the hook and loop fastening. 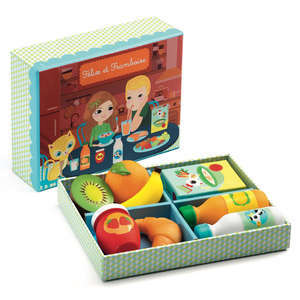 Friends and family will be queuing up to taste your delicious looking fruit salad. 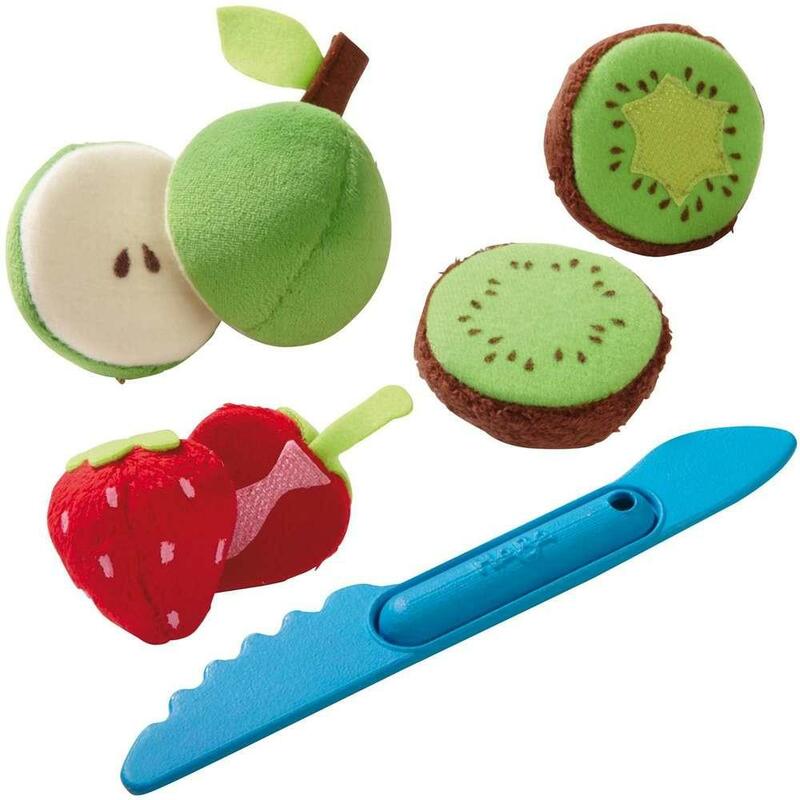 Includes 1 apple, 1 strawberry, 1 kiwi (each sliceable), 1 safe knife. 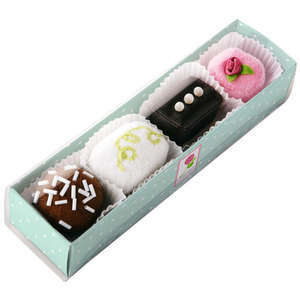 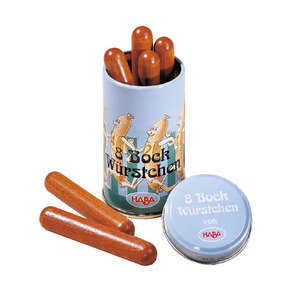 Box approx: 12 x 12 x 7.5cm.